That’s because I don’t make the mistaken assumption (as many people do) that the ideology of “Arab Nationalism” plays a factor today in politics related to Israel and the Jewish settler-colonial occupation of “mandate” Palestine. Whereas Zionism is alive and kicking, Arab Nationalism, which arose after WWI when Palestine, Iraq, Syria and Lebanon came under British and French rule, has long been dead. After WWI, Syria and Iraq led the movement in a failed attempt to exploit the rivalries of the Great Powers in the Middle East and create a state that would embrace all the “Arab Nation”. Look where Syria and Iraq are now. 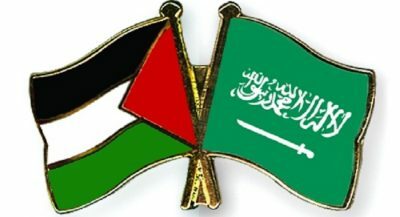 The very first time that Saudi Arabia acted (along with Iraq, Transjordan [which became Jordan in 1922] and Yemen) on an issue involving Palestine was in 1936, when these countries jointly intervened to end the Palestine strike, the general strike in Palestine against British policies on Jewish immigration and foreign land purchases in Palestine. Look where Saudi Arabia and Yemen are today. Secret peace missions between Arab countries and/or Israel and its allies for the political and territorial gains of these countries at the expense of the civil population of Palestinian Arabs (who had hardly any militia themselves and could not fight) began as early as 1948, when Golda Meir met secretly with King Abdullah of Jordan just before the mandate ended. She promised territorial gains if he stayed out of the fight. At the time Abdullah disagreed with Egypt over what was to be achieved by this war, wanting to make Palestine part of a “Greater Syria”. Egypt disagreed with Abdullah, wanting to liberate Palestine and turn it over to the Palestinians, but it waited until the last minute to intervene in Palestine. Look where Jordan and Egypt are now vis-vis-Israel and its ally, the U.S.. In 1948, Saudi Arabia contributed only a token unit to the under-equipped, under-trained Arab Liberation Army”. When it came to a truce between these Arab leaders and Israel, from the beginning, they were all under strong external pressure – as they are today. In my view, the Zionist Jewish state and Saudi Arabia have a lot in common. They have the same culture of tribe and religion, both placing “otherness” and exclusivity at the heart of their world view. With its oil wealth, Saudi Arabia wreaks the same kind of political havoc in the Middle East that Israel does with its technology and military assets. The way I see it, the U.S. is politically a client state of Israel, and Saudi Arabia is a client state of the U.S. So what are the concerns of the crown prince? “The Saudi crown prince is not a moderate leader, he cannot afford to be, as he has to move quickly to save Saudi Arabia from its impending economic and strategic disaster, says Gregory Copley, of the International Strategic Studies Association. His major concern is the social and political stability of Saudi Arabia. So why should this be surprising to anybody? I believe the reason, partly, is because Israel uses the term “Arab” profusely to refer to Palestinians and has defined its Palestinian citizens within the Green Line as “Arab” in “nationality”, when there is no such thing.